79 percent of right-wingers believe Jews are the chosen people. Are you for real ? I would like to meet representatives of that absolute, decisive, arrogant and patronizing majority reflected in a recent Haaretz poll and ask them: Are you guys for real? How did you come up with that? On whose say-so? Are you, the absolute majority, so sure that we are the chosen, the very best, that we are the champions, head and shoulders above the rest? How did you come to this conclusion? I’d like to ask you, dear majority: On what basis are you convinced that we are the chosen people, that we know everything better than all the other nations; that we deserve more than everyone else; that what applies to them does not apply to us, because we are superior. This is how a majority of Israeli Jews responded in the Haaretz-Dialog poll published last week: We are a chosen people. A majority, 56 percent, are sure of this. The figure rises to 79 percent, an overwhelming majority, among self-identified right-wingers. In a country where 76 percent of people believe in God or another higher power, perhaps that is obvious. But whereas belief in God is a private matter, the belief in a chosen people provides the outlines of policy that explains a great deal about Israel’s actions. Let’s turn from theology to pathology. The Israeli Jews who think they belong to a chosen and select people owe an accounting to themselves and to others. It’s easy to declare that God does or doesn’t exist. No one is expecting evidence, but when the majority of a nation is convinced that it is superior to all other nations, some evidence is necessary. In Israel’s case, it’s easy to prove that it’s a case of detachment from reality, a dangerous delusion. In any event, a people that is convinced that it is chosen poses a danger to itself and its surroundings. The Jewish people is indeed special, with a glorious and bloody history. Israeli Jews, too, have cause for pride. But when they say that they are the chosen people, it reveals their psychosis. It’s doubtful that any other nation thinks that of itself today. Israeli Jews have no grounds to think this either. In what way are we chosen? In what way are we better? And what is the Swede, the French person, the American, the Briton or the Arab supposed to think about this insufferable arrogance? There’s no need to elaborate on Israel’s questionable morality as an occupier. Any Israeli with even a modicum of self-awareness recognizes that an occupying nation cannot be the chosen people. Nor would a bit of humility hurt when it comes to a few other characteristics of the people of Israel, before it crowns itself a light unto the nations. I recommend, for example, reading the comprehensive, horrifying analysis in Haaretz by Dan Ben-David of the country’s education system, which did not prompt the necessary outcry. Half of Israel’s children receive a Third World education. A little modesty would also become the citizens of a state that ranks 87th in the 2018 World Press Freedom Index, below Togo and the Ivory Coast. Nor is No. 32 on Transparency International’s 2017 Corruption Perceptions Index something to celebrate. Health care is yet another area where Israel’s self-esteem should be curbed: The country ranks 28th in health-care spending, of the 36 Organization for Economic Cooperation and Development member states, and 30th in the number of hospital beds. The behavior of Israeli tourists abroad is also not always befitting a chosen people. Perhaps Israel ranks high on an index of German submarine purchases, and maybe that’s the key to understanding the sense of superiority. Basking in self-glorification has recently become a salient characteristic of Israel’s national character. Just regularly read the Israel Hayom daily or listen to the prime minister: How lovely we are from morning to night. The right spreads this lie, for its own purposes. Sycophantic populism thrives not only in Israel, but it is only here that the disparity between dream and reality is so great. A chosen people? If only it were finally like all the other nations. 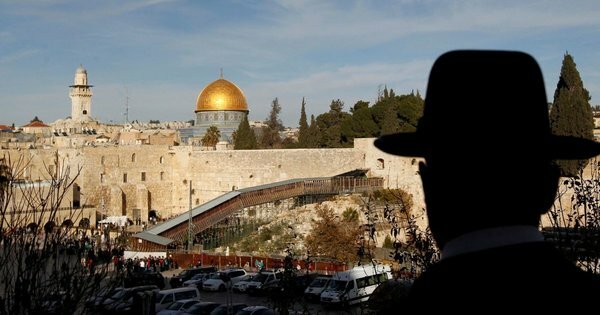 79 % des israéliens de droite pensent que les Juifs sont « le peuple élu ». Est-ce que ces gens sont sérieux ?